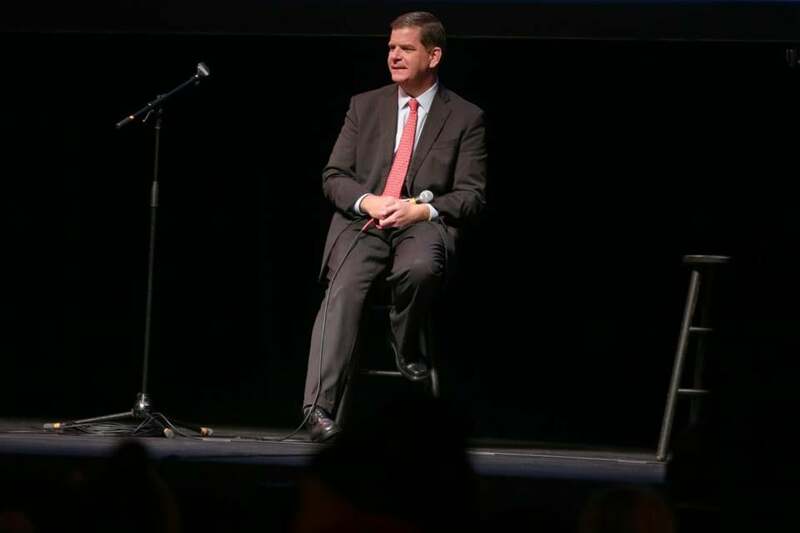 Now, in an attempt to finally lock down funds, Walsh announced a seemingly practical proposal Tuesday night: redirecting surplus money from two state Convention Center Fund accounts that are generated specifically by tourism tax revenue raised in Boston. But like before, the latest idea faces a number of hurdles. Most significantly, dipping into the fund would require a change in state law. It remains unclear whether Governor Charlie Baker and the Legislature, which frequently uses that surplus money to balance the state budget, would go along with the plan — especially as the state faces another tough budget year. A Baker spokeswoman was noncommittal Wednesday, saying the governor looks forward to examining any proposal that comes across his desk. The Walsh administration anticipates the surpluses could generate $16.5 million annually, providing the city with enough money over the next seven years to boost the quality of 1,350 existing subpar prekindergarten seats that operate independently of the school system or to replace them with seats in the city’s schools. Preschool advocates praised the proposal. Amy O’Leary, director of the Early Education for All Campaign at Strategies for Children, a Boston nonprofit, compared the proposal to creative ideas pitched in other cities nationwide, such as Philadelphia, which started imposing a tax on sugary drinks this month to pay for early education. “We are encouraged there was some innovative thinking about it,” O’Leary said. The surplus funds are supposed to be used to cover capital improvement costs, including a much-desired expansion of the Boston Convention and Exhibition Center. But Baker is not supporting that effort right now. A spokesman for the convention center said Wednesday night that officials are waiting for more details. James E. Rooney, president and chief executive of the Greater Boston Chamber of Commerce, who previously headed the convention center, said using the surpluses to fund early childhood education sounds like a good idea while expansion plans are on hold, but the state needs to ensure enough money remains to cover repairs. “I’m a big proponent of convention expansion and activity, but I would have to admit that there’s no better economic investment than the education of our children,” Rooney said. Walsh is pushing the proposal as seeks reelection this November and faces a challenge from City Councilor Tito Jackson, who intends to make education a cornerstone of his campaign. Jackson, who is expected to pitch his own early education plan, could play a critical role in whether Walsh’s proposal moves forward. Walsh’s plan needs to receive approval from the City Council before it is filed on Beacon Hill as a home-rule petition. The council is expected to take up the measure next week. The mayor’s pursuit of pre-K for all dates back to his first run for mayor in 2013, when he floated the idea of selling City Hall to pay for the initiative. After winning office, he appointed an advisory board to examine early education, but faced criticism for delaying the release of the findings of the report for more than a year. According to that report, Boston is in a fairly decent spot in offering universal pre-K. About 90 percent of the city’s 6,000 4-year-olds in any given year attend preschool, but the quality and quantity of those experiences can vary widely. About half of the students attend what is often considered the gold standard for prekindergarten — full-day programs run by the city’s school system — while others attend federally-funded programs, like Head Start, or private programs, where classes sometimes meet a few days a week for just a few hours. The quality of instruction also runs the gamut, from fully certified teachers in the Boston school system to instructors in private programs who may have only a high school diploma or associate’s degree. The Walsh administration says that about 1,350 seats in an assortment of programs could benefit with an infusion of money to train teachers, purchase high-caliber curriculums, and gain accreditation. Those seats tend to be clustered in such neighborhoods as Dorchester, Hyde Park, and East Boston. The Walsh administration says it would also use the money to create more prekindergarten classrooms at city-run schools in those neighborhoods, which would lessen the need for families to enroll their children in lackluster programs. During Walsh’s time in office, the school system has added 422 prekindergarten seats across the city, bringing the total to around 2,400. But the school system had to turn away more than 700 applicants for this school year because it ran out of seats. Another 268 seats have been created in community-based organizations that use the school system’s curriculum and have extended hours and higher-paid teachers. The surpluses Walsh wants to tap are generated by surcharges on Boston sight-seeing and car rentals. Samuel Tyler, president of the Boston Municipal Research Bureau, a government watchdog funded by businesses and nonprofits, said he believes Boston has a legitimate claim to some of the surplus money, especially given that the convention center expansion is not moving forward. “I think it is a reasonable proposal,” Tyler said. Legislators have, for years, been introducing bills that would offer early education to many or all students to little avail, in large part due to lack of funding. Representative Alice Peisch, a Wellesley Democrat who has chaired the education committee and who plans to introduce yet another version of the legislation this session, said she had not yet studied the revenue stream but would not be averse to a setup that provides universal early education in Boston alone. “It’s certainly hard to be against expanding pre-K in the city. But exactly how that’s done remains to be seen,” she said. Correspondent Martha Schick contributed. Meghan Irons of the Globe staff contributed to this report. James Vaznis can be reached at james.vaznis@globe.com. Follow him on Twitter @globevaznis.